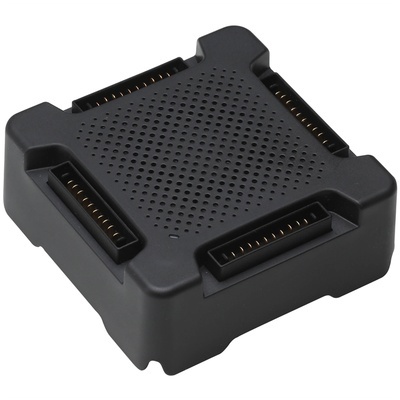 Product #46886 | SKU DJIMAVICPT8 | 0.0 (no ratings yet) Thanks for your rating! The Advanced Battery Charging Hub from DJI allows you to charge up to four Mavic Pro flight batteries sequentially, starting with the battery with the highest power level. The Advanced Charging Hub optimises charging to improve efficiency, charging fully in one hour less than the standard version. When used together with a Phantom 4 charger, the charging time is reduced further to 2.5 hours. Note: Requires separately available charger.